Who doesn’t love caramel and chocolate. These bars have both and are very easy to make. Cookies generally require time although worth all the effort to make homemade cookies. 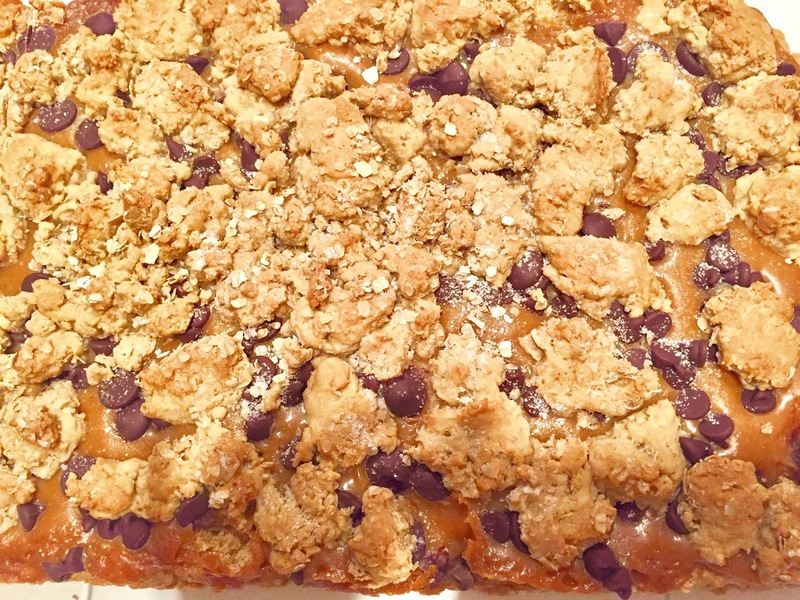 If you love cookies but thought you didn’t have the patients or time to make try a bar cookie. So easy to make without having to roll out or decorate. And so delicious, need I say more. Once you master the bar cookie you will always find time to whip up a batch. 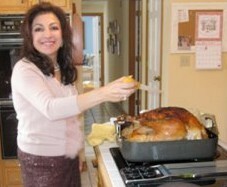 Preheat oven to 350 degrees F. Set aside 2 tablespoons of the butter. In a large mixing bowl beat the remaining butter with an electric mixer on medium to high speed for 30 seconds. Add the brown sugar and baking soda. Beat until combined, scraping sides of bowl occasionally. Beat in eggs and 2 teaspoons vanilla until combined. Beat in as much of the flour as you can with the mixer. Stir in any remaining flour. Stir in the rolled oats. For filling, in a medium saucepan combine the reserved 2 tablespoons butter, caramels and sweetened condensed milk. Cook over low heat until chocolate melts, stirring occasionally. Remove from heat. Stir 2 teaspoons vanilla and 1/2 teaspoon sea salt. Press two-thirds (about 3-1/3 cups) of the rolled oats mixture into the bottom of an ungreased 15X10X1-inch baking pan. Spread caramel filling evenly over the oats mixture. Sprinkle chocolate chips.Dot remaining rolled oats mixture on filling. Bake for about 25 minutes or until top is lightly browned. Cool pan on a wire rack. Cut into bars. Makes 60 bars.